With CNBanywhere, you can access your City National Bank account, pay bills and transfer money all on your smartphone device, without coming into a branch. Check Your Balance – Stay connected and up to date with your spending and account balances. The CNBanywhere app can help you avoid overdraft fees and stay in control of your finances. Pay Your Bills – You can pay almost anyone from anywhere using your phone. It takes but a moment to set up a payment on your online account's bill payment page. 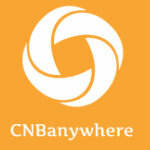 Transfer Money – Conveniently, transfer money from account to account using the CNBanywhere app. Find an ATM or Branch- The CNBanywhere app allows you to find an ATM or bank branch from the convenience of your phone.